Tessa's Gift: A new PR job at the Findlay Roads hospital is exactly the fresh start Tessa Worth needs. The challenge? Coaxing the gruff but brilliant Dr. Noah Brennan out of his shell. Noah and Tessa grow closer as she helps him heal from the loss of his wife and daughter, but Tessa is afraid of revealing her own secret. Can they find hope and healing…together? They say all good things must come to an end. And I knew, when I first started my Findlay Roads Story series with the story of Harper Worth and her romance with Irish restaurateur, Connor Callahan, in Harper's Wish that the series would end with Harper’s sister, Tessa, and how she found love with a broken doctor in need of his own healing. Out of all the journeys throughout this series, Tessa’s was the most difficult to write. I knew from the get-go that her story was the most emotional of all four, which is saying something throughout a series that has dealt with everything from early onset Alzheimer’s to widowhood. Tessa is perhaps the heroine who has had the most difficult struggle, but that's also why she is the perfect counterpart to the emotionally wounded Dr. Noah Brennan. I don’t remember how I got the first idea for Tessa’s story, but I do know that after doing some preliminary research, I was heartbroken about the things I read concerning infertility. If you’ve never personally experienced this struggle, feel free to do a web search for some stories and message boards. But fair warning – the results are likely to bring you down a bit. After reading some of these emotional journeys, I knew I had to give more attention to this issue and try to make it real for others. What was the hardest thing about writing this story? My biggest challenge was trying to do justice to the characters’ emotions without weighing down the tone of the book so much that it was depressing to read. I think I struck a good balance between the conveying the burdens both Tessa and Noah carried as well as showing the light in the cracks of their struggles, but an additional difficulty was that I was facing a heavy weight in my own life at that point. During the writing of this book, my dad was involved in a pretty traumatic fall, and he was rushed to the hospital with bleeds in his brain, a laceration in the back of his head that needed 14 staples, fractured ribs, broken spine bones, and the list went on. He was unresponsive for weeks. All those emotions I was feeling worked their way into the story, and I hope the book is better for it. It’s a turning point for Noah, and as I wrote this scene, I cried throughout the whole thing and for a long time afterward. My own emotions were high at that point, given what was happening in my personal life. But there was something about Noah taking the first steps to work through his grief, after having carried it for so long, that moved me more than I thought it could. This book required lots of research, not just on the medical end concerning childhood leukemia but also on the emotional side. I interviewed a lot of people before and during the writing of it. This included a couple who has struggled with infertility due to a diagnosis of early onset menopause, a single mother who helped her daughter through a fight with childhood cancer, and even a dog owner who takes her precious pet to visit different hospitals in order to lift patients’ spirits. Each of these people and their stories found a place in Tessa and Noah’s tale, and I think it is richer for their input. With every book release, I love to do a bunch of giveaways to thank my readers. 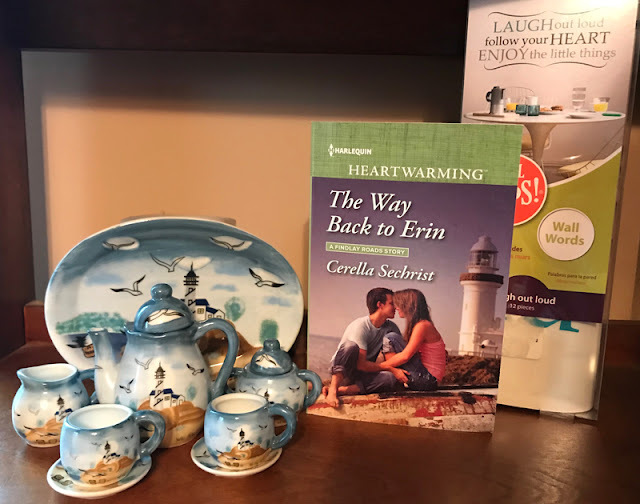 Since this book is the last in the Findlay Roads series, I’ve been offering up giveaways tied to each of my Heartwarming books that came before this one. I have one that’s currently running for The Way Back to Erin (see below), the book before Tessa’s Gift (and really, the beginning of her story.) There will be another giveaway after this one, as well as one this summer, so if you’re interested in entering, like my page on Facebook, follow me on Twitter, and sign up for my author newsletter to stay in the loop and when, where, and how to enter! If you want to enter for the prize below, visit my website! 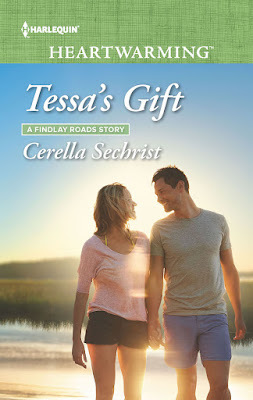 I hope you enjoy Tessa's Gift, the final installment in the Findlay Roads Story series! It was a good story. The characters problems were really well laid out and realistic. Sorry to see Findlay Roads series end. I know it's hard to say goodbye to a series. 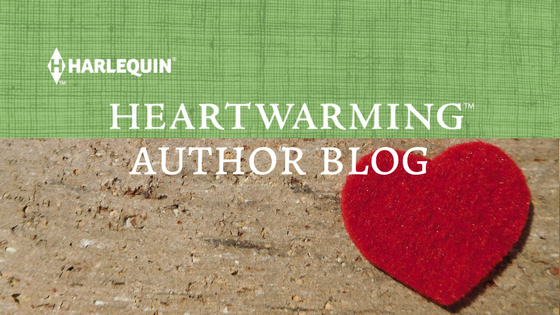 Your stories are rich with emotion and characters who really earn their happiness. Love the cover. Your lighthouse theme makes the covers stand out so much. Thanks. Eager to hear what's next for you. I'm glad to hear your dad is recovering well. I'm so looking forward to reading this story. I've loved the whole series. 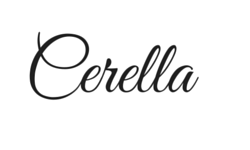 Congratulations, Cerella, and I’m glad too that your dad is doing well now.